November 14, 2009 – It’s My Brand Sonny! The online listener servers were tapped out…so they added more. Buck was ticked off…so he vented. Animals were in the news…so Steve read the news. What is a Hawaii Chair? Who eats 50 meatballs in a sitting? Can Buck sing? How old is too old to tag? How naked is too naked to go to a car wash? 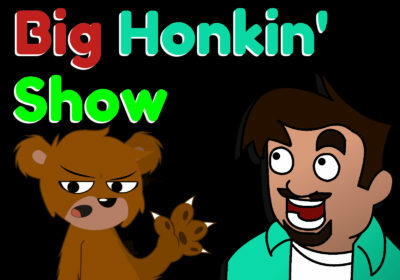 Find out on this episode full of shout outs, e-mails, and fun abound on this edition of The Big Honkin Show.